Choosing a good/trust worthy insurance company is really hard and it takes time, so to make the process easier, we have selected for you a list of top 10 insurance companies ranked based on : licensing, financial solidity, price and service. Size-wise, State Farm is the top dog, holding close to 19% of market share nationwide for private passenger auto insurance and about 20% of the home insurance market. State farm ranks of the top of our list primarily for offering a range of deductible options, as well as flexibility with the level of ability and medical payment coverage. they also have a customer service with 24- claim center online, by phone, or with their official app. In addition to auto insurance, Allstate sells home and renters insurance, commercial insurance and retirement and investment products. 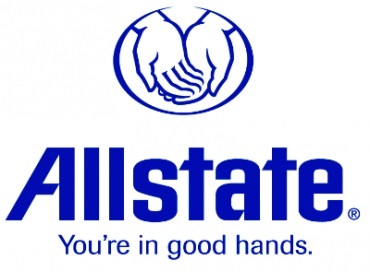 Allstate’s products are sold through its own agents nationwide. American General Life insurance Company is the right choice for many because they seem to be the “jack of all trades” in the insurance industry. The Company’s underwriting is flexible, their pricing falls right in the upper area of the industry average, and they have exceptional customer service. The following strengths help AIG rank for one of the top life insurance companies. Liberty Mutual is one of the oldest insurers in the U.S. Today, it is the third largest publicly held U.S. insurance company. They offer a variety of comprehensive insurance packages, including auto and homeowners insurance. The Automobile Club Association, or AAA, is one of the best-known insurance providers in the U.S. It offers a roadside assistance program as well as a variety of insurance plans and policies for drivers and vehicle owners. MetLife had a “diverse product mix” which included insurance (home, car and life), variable life annuities and structured settlements, commercial mortgages and securities backed by commercial mortgages, and sovereign debt. Banner Life is an excellent company to purchase term life insurance through in general. They are usually among the least expensive on premiums, and often THE least expensive. And writing policies for smokers seems to be their niche. Actual age instead of nearest age. The thing that everybody loves about this company is their no medical exam policies. The company offers several of the best life insurance policies with no medical exam, including a term life policy and a whole life policy. This includes the Freedom Term Life Insurance plan, that offers policy amounts up to $250,000 and terms ranging from 10 years to 30 years. Finally, to visit any of the mentioned insurance companies web site just click on their logo. Please don’t hesitate to share with us you comment, and feedback.